Apple’s iOS 8 has been rolled out 52 percent of all active iOS devices, indicating a slower rollout than versions of Apple’s mobile software in the past. 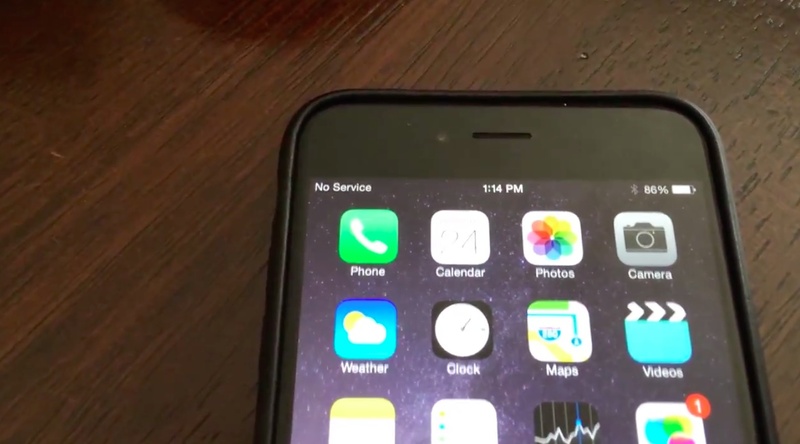 Apple updated its Developer Center with the data on Tuesday, indicating that some of iOS 8’s early flaws may have slowed down its rollout over the last five and a half weeks. 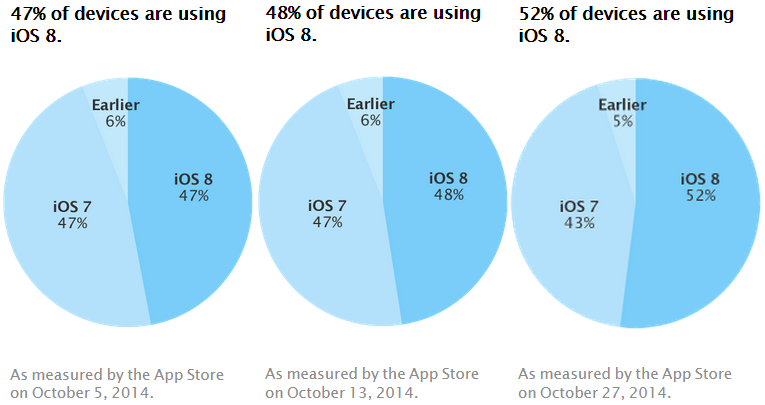 Between Oct. 13 and Oct. 27, iOS 8 share increased from 48 percent to 52 percent – finally crossing the halfway point. The bump may have occurred after Apple’s release of iOS 8.1 on October 21, which most notably brought Apple Pay, Instant Hotspot, Apple’s iCloud Photo Library, bug fixes, and more. Before, iOS 8 gained only 1 percentage point less than a month after its release, as highlighted by the graphs compiled by VentureBeat above. 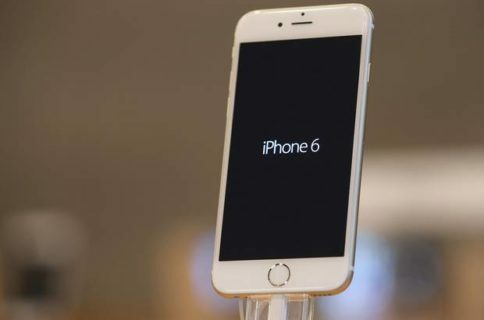 The update has been a rocky one to say the least, as it left users without service, unresponsive camera shutter issues, and unresponsive home screen issues that had many users pleading for iOS 8.0.1 days after the iOS 8 release in September. For me, I haven’t updated to iOS 8.1 yet because I’m still waiting on my iPhone 6 Plus, and simply don’t have room on my iPhone 5s for the update that requires 5GB of free space. I suspect many are on the same boat.